SLOW PLAY: ARE WE RESPONSIBLE? There is a weekly money game at one of the local country clubs in Kansas near my home. There are a lot of great players in the game, including mini-tour players. A few months back I was paired with two mini-tour players, along with a top local college player. We were the fourth out of six groups to tee off in the money game. Five hours later we finished, at least two holes, if not three, behind the group in front of us. During the round, I mentioned that we were falling behind the group in front of us, and we needed to pick up our pace. I guess my opinions went on deaf ears because we never sped up at all. After our round, I wasn’t very happy with our pace; I felt like I worried about it the entire round, and therefore, had a negative outlook on the game. I paid my debts, and went my merry way home. The next day I couldn’t quit thinking about how slow these good players were. I started to think about why we were so slow and it came down to two major areas. The first area was routine or process, while the other area was the timing of starting the process. These ideas turned into many thoughts about teaching professionals and how we teach pre-shot routines. For the most part, I think we all teach that you should have a routine for all shots. The point of a routine is to keep you calm when you are nervous, help get you back on track when things are bad, and help you go lower when things are going really good. But, do we teach the players to become so engaged to their routine that they forget about common sense pace of play? All three players had full-shot routines that took about two minutes. It seemed the more time one player took, the next player would take more. It was amazing to me to see someone back off a shot more than four or five times. It showed me that they were forcing their routine because of the self-doubt in their decisions. I would like to see players be more confident in their decisions and play the shot. The other thing that amazed me was none of the players started their routine, including pre-reads, until the other player was finished. This is something that makes me feel that their coach has failed them. Students should be taught to do their pre-reads all the time, whether they are walking up to their ball or walking from the cart to the green. This helps them continually assess what they want to do and to be more decisive. It is our responsibility to grow the game and help players get more enjoyment. One way we can help this is to instruct players to move along at a good pace. 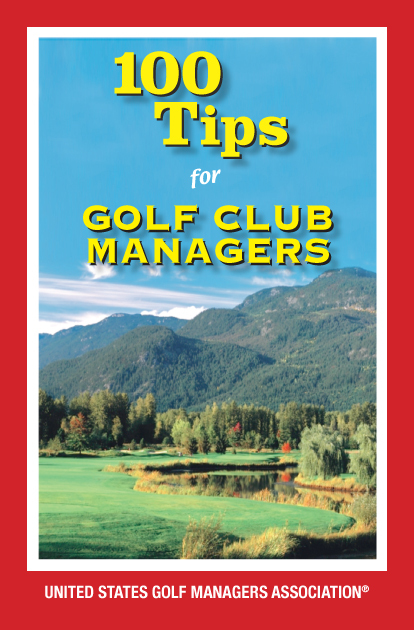 Not only does it benefit them, but it benefits everyone in the group and on the course. If we teach “common sense” pace of play skills to our students, then they will help better the game.